No need to pay for a full time IT staff to manage your LIS or wait until an external LIS manager arrives at your lab to maintain the LIS. 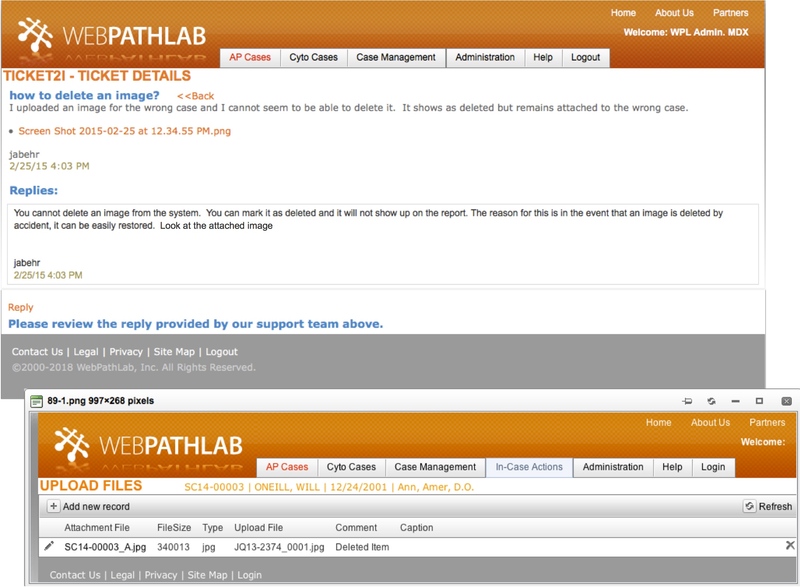 WebPathLab’s support team can access your solution at any time to make any corrections or address maintenance issues. WebPathLab has a support team that works during the day and one that works during the night in order to provide emergency overnight support so your solution is ready as soon as possible. Standard technical support. Simply email us at support@webpathlab.com and a ticket will be opened and addressed within 24 hours of receipt. As soon as the issue is resolved, you will be notified. Emergency Support. WebPathLab will provide the Customer with a telephone number to be used in the event on an emergency 24 hours a day. A WebPathLab staff will either answer the phone or return the call within one (1) hour, typically as soon as possible. 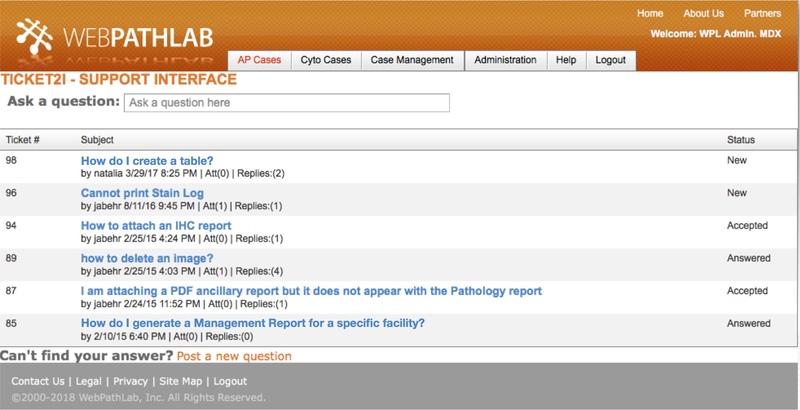 WebPathlab staff will work on resolving the issue as soon as possible. WebPathLab has a feature called Ticket2i where users can open tickets inside their application. The ticket will be address by a member of the support team and posted to the website where all other users can have access to it in the event they encounter the same issue in the future. Ticket2i is unique to each installation so that issues related to your internal processes are available only to your staff. Ticket2i works as a costumed knowledge database around your system configuration and preferences. The image on the right shows Ticket2i’s main page where the user can search for a topic or submit a new question.